It’s down to the wire in a presidential election considered too close to call. With 48 hours to go Barack Obama and Mitt Romney are making multiple appearances in a series of key battleground states that will decide the election. 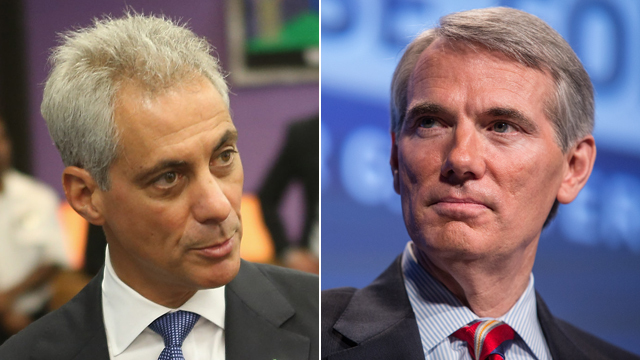 Closing arguments with Former White House Chief of Staff, Chicago Mayor Rahm Emanuel and the key Romney adviser, Ohio Senator Rob Portman. Then, sizing up the presidential campaign and the down ballot races with Former Mississippi Governor Haley Barbour, Democratic strategist Steve Elmendorf, CNN Senior Congressional Correspondent Dana Bash, and PBS’ Gwen Ifill. Check us out this Sunday at 9 a.m. and 12 p.m. Eastern.